Connect to hundreds of data sources with Power BI Integration. Tons of different awesome visuals to present your data. No Limits. Present your reports to users even if they don’t have Power BI account, using Power BI Embedded Capacity. First of all, don’t forget to prepare your Power BI reports that you want to add to your site. Go to your page and edit it. Let’s open Power BI ShortPoint from ShortPoint Page Builder. Logged In Users: Every SharePoint Site Visitor will be required to login to Power BI using Pro Account to view Power BI Data in SharePoint. Master Account: SharePoint site visitors will not be required to login to Power BI to view Power BI Data in SharePoint. Here you need to define what you want to embed from your Power BI Workspaces. So choose your workspace & report or dashboard. You can show a full dashboard or just select a single tile to show. Finally! Now just publish your awesome page with the Power BI reports and check the results you have now. 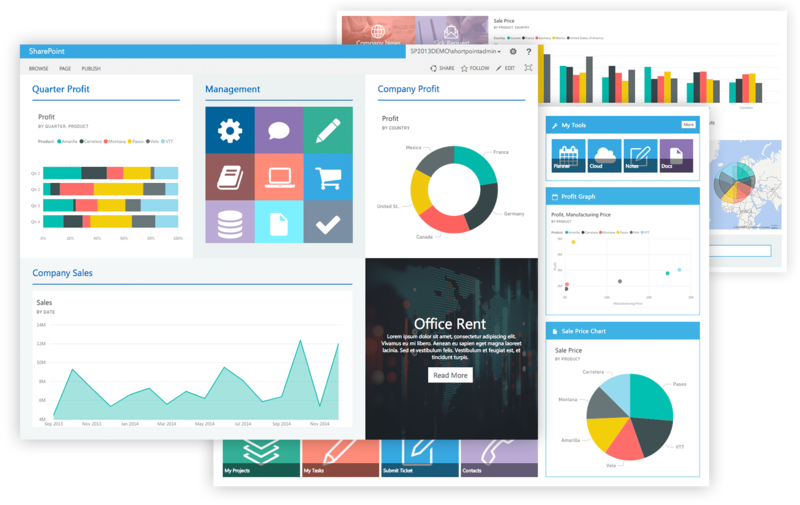 All that you need is just ONE Power BI Pro Account with Embedded Capacity where you will have all your data to present it to thousands of site visitors. Enjoy! Any changes that you make in Power BI apply instantly live to your site in seconds. In case you have pages in your report, you can show them all with the pagination at the bottom. You can always navigate to your workspace, dashboard, report, or even separate report page simply by clicking the source icon. Any Chart in Power BI can be in two common aspect ratios: 16:9 and 4:3. So you can choose the same aspect ratios for showing your reports on the page or make it with the custom width and height. Define what data must be visible, to what people or groups, and on what devices. You can select your workspace & report or dashboard. Show full dashboard or just select single tile to show. Designing your reports to look nice on mobile devices is easy now. You can either go with Option 1: Logged In User Account Integration or Option 2: Master Power BI Pro Account Integration depending on how many users are going to view your Power BI report. For more information Read this. For any other questions, please click here. We want to make your experience with Power BI very smooth and easy. That’s why we create articles answering the most common questions about this integration.